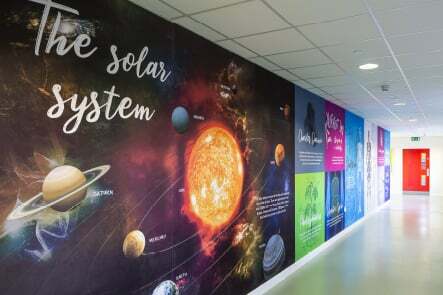 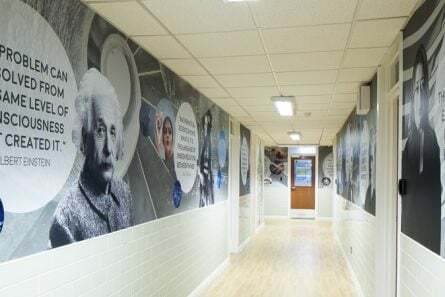 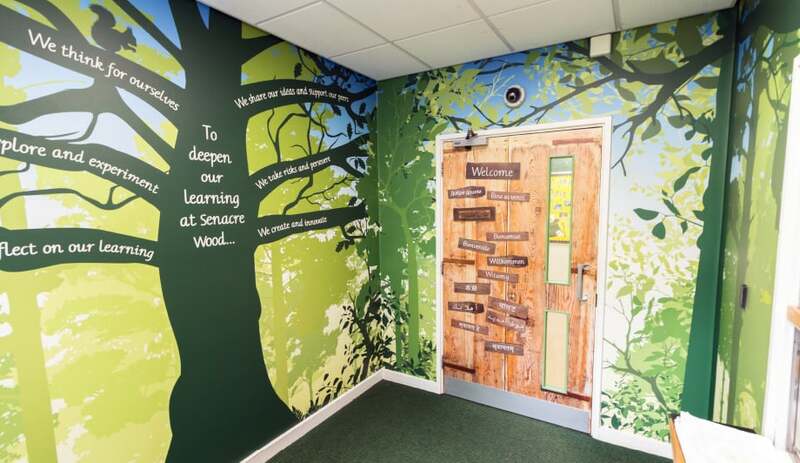 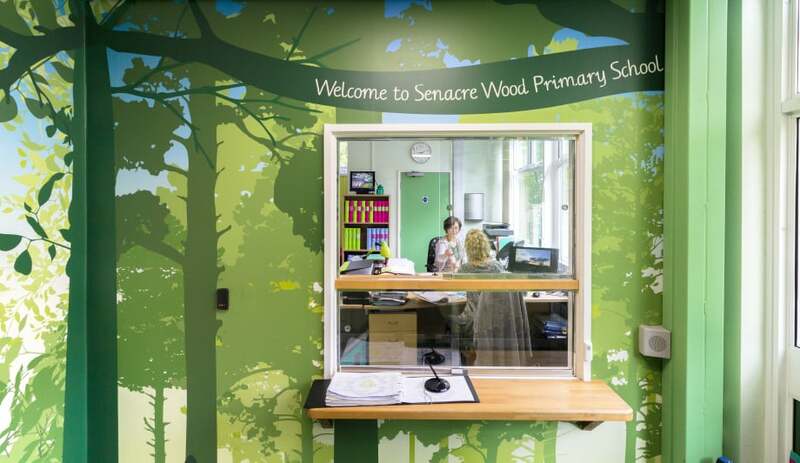 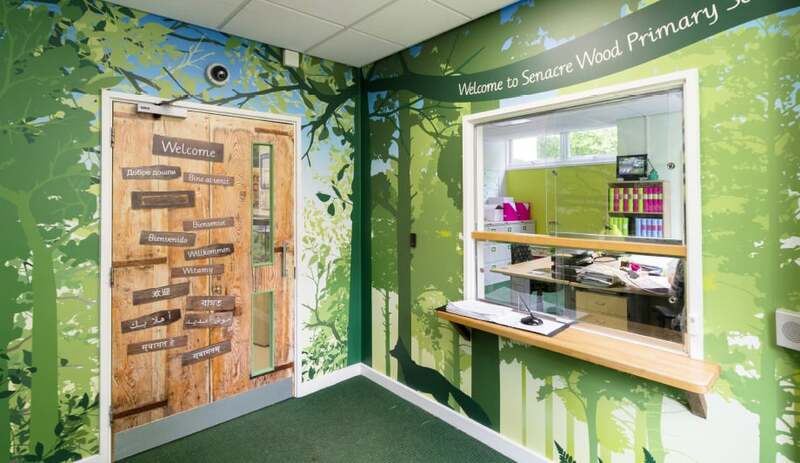 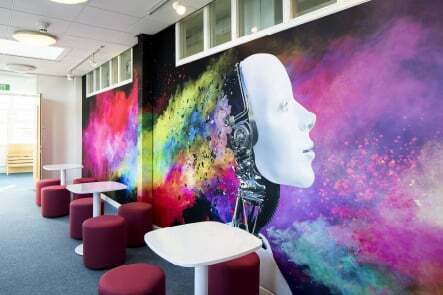 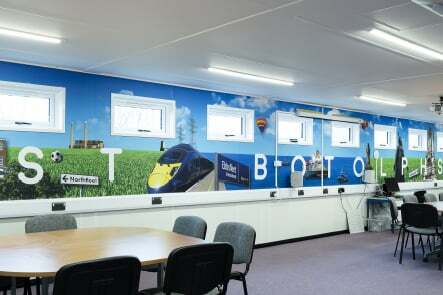 Senacre Wood Primary School were looking for a welcoming and inviting reception area that communicated their vision and values and gave the best possible first impression of their school. 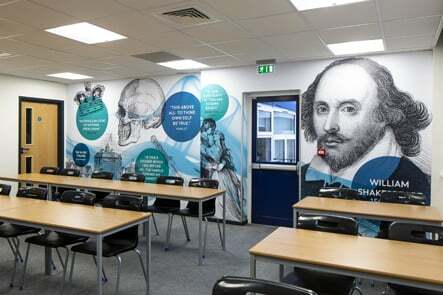 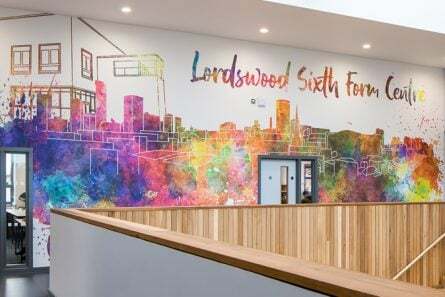 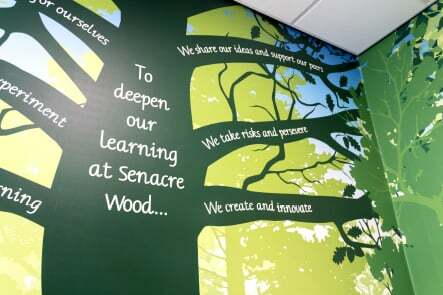 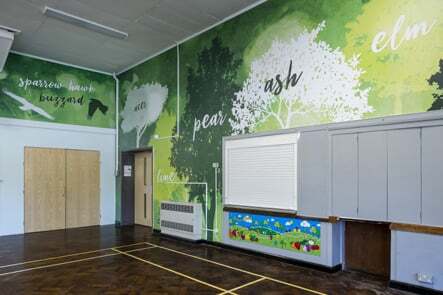 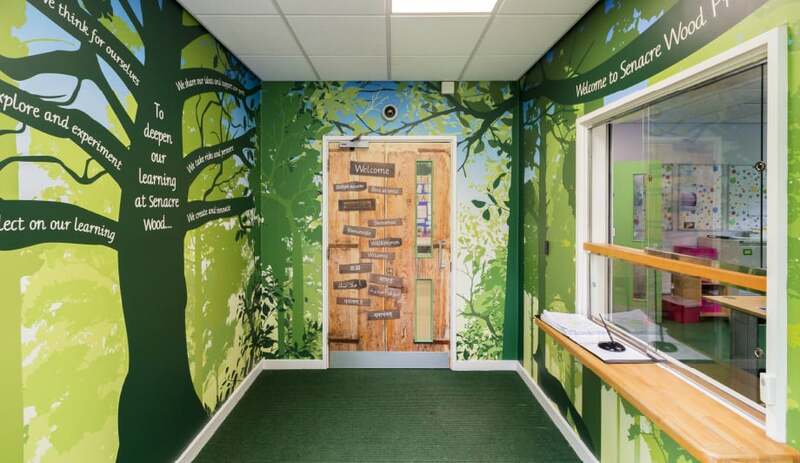 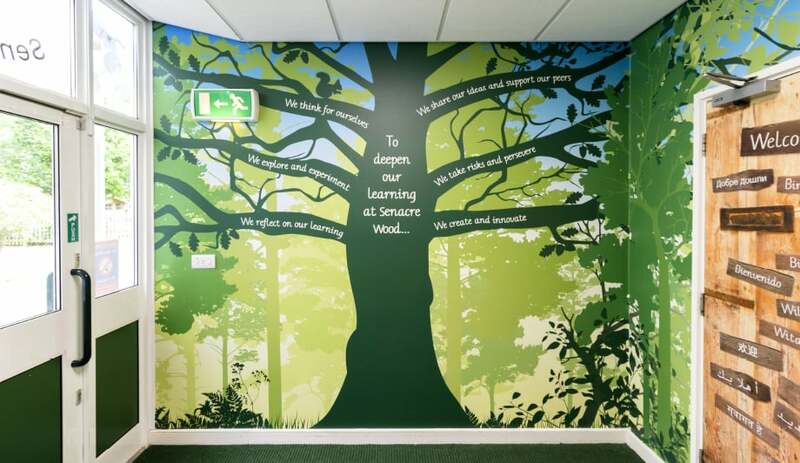 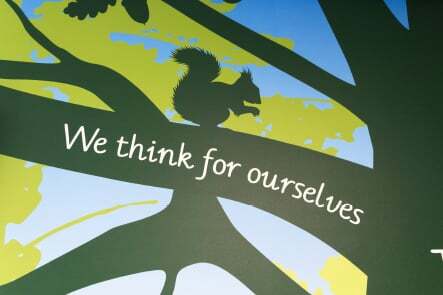 The school’s existing branding was used to create a woodland theme, incorporating a large tree based on the school logo to showcase the school’s values. 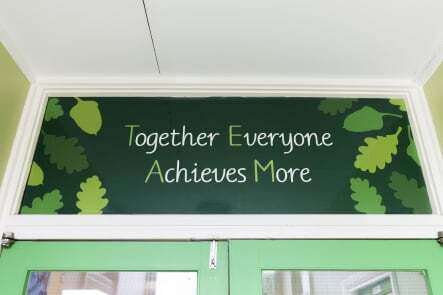 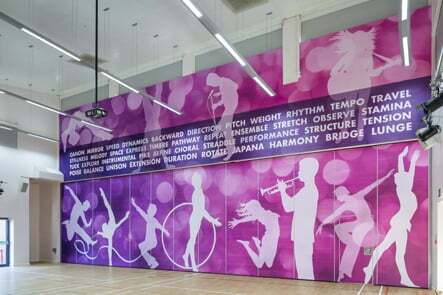 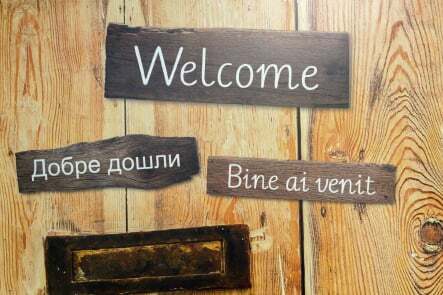 The vinyl covered door, with welcome messages in a variety of languages, reflects the schools diverse community and welcomes visitors through into the main school.